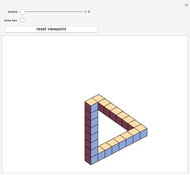 The Penrose triangle is an impossible object, but a real object can be made that appears to be a Penrose triangle when viewed from a specific angle. 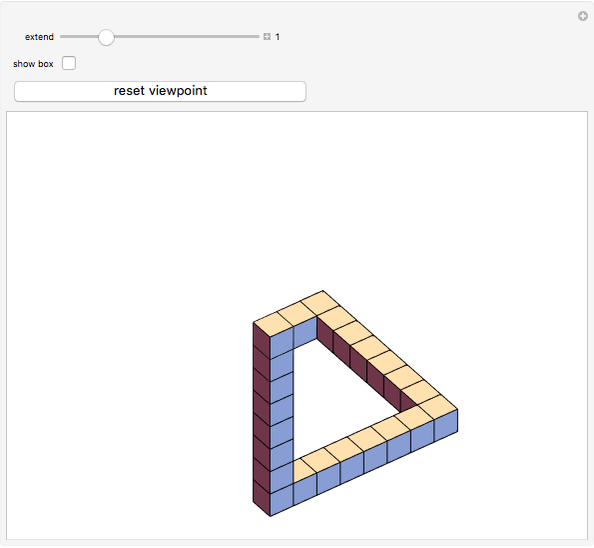 By changing the triangle to an irregular quadrilateral, such a real object can be made using only cubes. Click and drag the object to change the viewpoint or use the button to locate the special viewpoint for each shape.